Camping is your chance to get out and experience all that Mother Nature has to offer. Whether you head to a secluded forest, a remote lake or a nearby campground, there is so much to love about this great outdoor activity. But making a camping checklist and packing your bags can sometimes be stressful and overwhelming, taking some fun out of the experience. Yet it really is the most important. To make the most of your trip—and to stay safe—you need to be prepared. Mother Nature sure is beautiful, but she can be quite unforgiving. There are tons of guides out there all offering the most detailed camping checklist, all of them offering a “complete” list of everything you may need for any camping trip. But each adventure is different, so you need to prepare for each one differently. 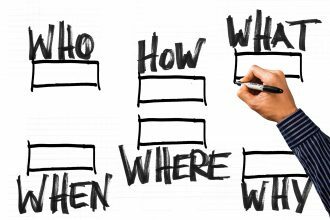 The best way to do this is to make your own list, one that is specific to where you are going and what you will be doing. But there is a lot you need to consider before doing this. This guide will help you answer all the questions you need to answer before leaving for your trip. We’ll help you plan for whatever may come your way so that you can have the best possible experience. Why create your own camping checklist? How are you getting to your camping location? Are you camping in a tent, RV camping or cabin? What kind of weather do you expect to encounter? Are there any special activities you intend to do? What amenities or services are available? Will you be near stores or other infrastructure? What other hazards may you encounter? Quite simply, because no two camping trips are the same. There are essentials you need to bring with you no matter what (something we will discuss later). But the gear you bring will depend on what type of trip you are taking. Camping in the mountains with your friends is obviously different than camping at the lake with the kids. You’re camping checklist should be different, too. Yet if look for help when making a “camping checklist,” you’ll probably have trouble finding something tailored to your trip. 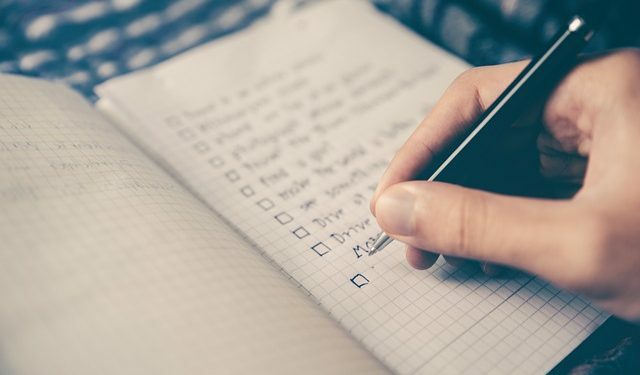 Instead, you’ll find lots of rather large lists about everything you could bring instead of a short list of what you must bring. Sometimes these massive lists are helpful when you first starting thinking about the trip. But to get everything you need for your trip, you need something more specific. To put together your camping checklist, there are some questions you need to ask yourself first. The more information you can find out about your destination, the better. This is one of the first things you should ask. Are you waking into the backcountry? Are you driving to a campground? Riding bikes? This will determine how much stuff you can bring. You’re obviously not going to carry a barbecue grill if you’re putting everything on your back. But you could easily bring that with you if you have access to a car. This is, again, to help you figure out how much you can bring. If you’re going alone, obviously only bring what you are comfortable carrying. If you’re travelling with children, remember that you may need to carry some of their gear, meaning you can bring less with you. On the other hand, if you are travelling in a group of equally-abled people, you can share the load amongst yourselves, allowing you to bring more stuff if you need it. When traveling with others, it may be worthwhile to get together beforehand to make your camping checklist as a group. That way you can ensure everyone is on the same page. Most people head out to camp for a night or a weekend. But others will want to extend their trip and camp for several days at a time. What you need to bring changes the longer you go for. For example, if you’re going for three or four days, you will need to bring more food, and you may need to bring some way to purify water. For your first trip, it’s probably a good idea to just go for a night or two. This way you can decide if you like it or not, and then head out for longer on your next trip. Another big thing to consider when preparing for your trip and making your camping checklist is how you’ll be camping. 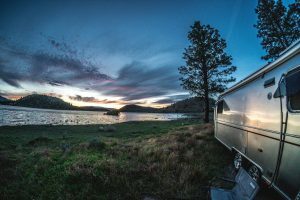 Camping in a recreational vehicle (RV) is a popular choice for families or for people who are heading out on extended trips. In general, you won’t need to much extra gear. 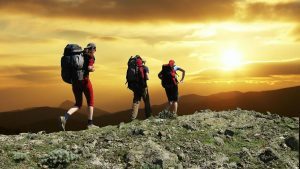 Pack for your day activities: hiking, swimming, mountain climbing, etc. But since you’ll be staying indoors with access to electricity, you can more or less pack as if you were headed to a hotel..
Cabin camping isn’t much different, but you may need more gear for sleeping and making food. If staying in a cabin, find out what amenities are offered there. You may find yourself packing for a hotel, or packing the same way you would to stay in a tent, depending on what’s available. The lists we’re going to suggest are mostly for tent camping.. This is because it is the most rugged, and you therefore need the most special gear. You’ll want to take a look at the forecast for the days you will be camping. But it is a good idea to go a step further and to find out what some of the trends are for the area in which you’ll be. For example, is there a chance of unexpected thunderstorms? What about flooding? Frost or snow? The forecast might not be predicting any of this, but we all know the forecast can sometimes be wrong. 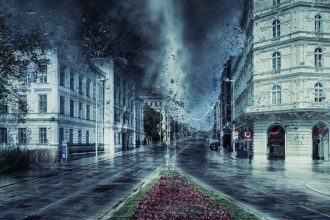 You don’t want to be caught off-guard by a serious weather event. Depending on where you are going, you may want to do something out of the ordinary while camping. Maybe there is a place where you can go rock climbing, fishing or hunting. If you want to do something you can’t carry, look into rental options. Unless you are going somewhere really secluded, you may be able to find canoes or kayaks you can use for the day. Also, make sure you can legally do these things. You may be able to carry your own hunting rifle with you, but make sure you are allowed to hunt where you are going. And also check that you have all relevant licenses and permits. Find out what is available where you are going. If you are heading into the backcountry, don’t expect much. There may not even be running water. Another big thing to look for is laundry facilities. When going for extended trips, having a place to wash your clothes is a great way to save space. One of the goals when packing for a camping trip is to try and bring as little as possible. There are few moments when the phrase “less is more” is more applicable. This is because when you are camping, either inside the tent, RV or car, space is often limited. Or, you usually need to carry much of what you bring. Either way, you don’t want to overload yourself. So you’ll want to find out what is available near where you are going. Many campsites will have general stores where you can buy food and other necessities. Or if you are going in your car, find out if there is a town nearby where you can stock up. This way you can save space for gear and equipment and buy food as you need it. This is a biggie. If you’re traveling in an RV, having electricity is a basic necessity. But if you’re going to a campground, find out if you’ll have access to a plug. Few campsites will have power. However, many will have service stations (usually where the laundry is) where you can plug phones or tablets in to charge. Your best bet, though, is to have car chargers available, or bring cordless battery chargers with you so that you can recharge away from an outlet. Most established campgrounds will allow you to make a fire. They often have fire pits right in the campsite to make it easier. However, if you are going into the backcountry, fires are often prohibited as the risk for forest fire is too great. Not being able to make a fire will change what you can and can’t bring for food. You’ll either have to bring a portable propane camping stove (sometimes also not allowed in fire-sensitive areas), or you’ll need to bring pre-cooked foods. Also, check to make sure there are no fire warnings in the area. Some areas may traditionally allow fires, but if there is a drought or high winds, the authorities may stop them. You can call ahead to get an idea, but since this information changes daily, you’ll probably have to ask someone when you get there. The regional departments of the National Forest Service is a good place for you to start if camping in the U.S. They may direct you to another local office, but these folks will have much of the latest information on what is allowed in the area where you are heading. Nevertheless, you should familiarize yourself with safe campfire practices so as to avoid harming both yourself and your surrounding area. If traveling in an RV, you don’t need to worry about this, as you’ll likely have access to a fridge and stove top. But it is a good idea to have some of these foods with you for when you are away from the camper. Bears (rope for hanging bags/food, bear spray, bear whistles). Camping in bear areas requires some special preparations. Learn more here. Gear can’t protect you from every hazard, but knowing what to expect will help prepare you for what may happen, making this an important step as you put together your camping checklist. Generally speaking, the things you need to bring depend on many factors. Cortisone cream for insect bites. Tweezers. Ticks and splinters need to be removed and cleaned immediately. Moleskin. Getting a blister and not being able to treat it can end a trip very quickly. Antihistamine. You may be allergic to things you’ve never come into contact. It’s also a good idea to familiarize yourself with basic first aid techniques. Make sure you know the proper way to treat cuts and wounds. Also, know what to do in the event someone breaks a bone or sprains an ankle. And you should know how to detect and treat hypothermia and heat stroke. All of these things can easily happen when you’re camping. Be prepared and prevent them from becoming dangerous. Good hiking shoes. Make sure you try them out and break them in before taking them with you. Extra pairs of socks. Figure out how many you need for your trip, and then throw in an extra few pairs. They’ll take up a bit of space, but if you’re feet get wet, it is not only super uncomfortable, but also downright dangerous. Towels. For drying off, obviously, but you can also throw them over logs or rocks so that you can eat/sit on them. Hat and sunglasses. Even in cold weather you need something to keep the sun off your face and out of your eyes. Pocket knife. There are so many uses for this, there isn’t enough space to list them all. If you can find a multi-tool knife, even better. Plastic resealable bags. Great for packing out trash and keeping food away from curious critters. Compass/GPS. It’s never a good idea to go off-trail unless you really know what you’re doing, but have something with you in case of an emergency. Beyond these essentials, you’ll make the rest of your camping checklist based on your specific trip. Below, we’ll take a look at some of the trips you’ll most likely take, outlining the gear you’ll need. Feel free to grab a pen and paper and pick and choose what you think you’ll need for your adventure. Sleeping bags and sleeping pads. Pre-made food. For a short trip, you probably don’t want to or need to do any cooking. Pre-made soups, granola bars, sandwiches and other foods high in proteins but that don’t require much prep are great for these trips. Change of clothes. You probably won’t need much for such a short trip, but make sure you’re prepared for the weather and have a backup in case it rains. You can wear shorts and pants over again, but if you’re sweat or get wet, it might be a good idea to have some extra shirts. Rain jackets/ponchos. Bring something to protect against the rain pretty much no matter what, even if rain isn’t forecasted. It’s much better to have it and not need it than to need it and not have it. Hats and/or beanies. Weather dependent. Dry socks and underwear. It’s always good to have more of these than you need. When something gets wet, it gets very uncomfortable very quickly. Camping chairs. It’s nice to have something for sitting around the campfire. Shower gear. If you’re just heading out for a day or two, you may not bother with a shower. It’s camping, after all. But definitely make sure you have at least some hand soap with you to be able to clean hands before eating and to treat any wounds. Toilet paper. This is an absolutely essential. You never know what the facilities you are heading to will be like. It is always be better to be prepared. Fire starters and firewood. On shorter trips you may want to bring this with you, as you aren’t going to be far from your car or won’t need to do much hiking. First aid kit. This is something you need no matter what. 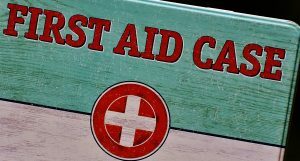 We’ll cover more about what should be in your first aid kit. Trashbags. Most places will ask you to pack out your trash, following good Leave No Trace principles. Water. For short trips, you can bring bottles with you to make sure you have enough. It may not be necessary to bring water filtration or purification systems. Games and other recreational activities. It’s always nice to have some fun activities to do at the end of the day. Grab a portable board game, a ball, a deck of cards, a book or whatever else you like to do when in the midst of Mother Nature’s beauty. For some of you, heading out for just a day or two isn’t enough. You want to get into the depths of nature and really enjoy what it has to offer. We get it. But there are some things you will need to take with you for this type of trip in addition to what you would bring on a shorter trip. Probably one of the biggest differences, though, is that you will be heading away from facilities into the backcountry. You’ll end up carrying most of your stuff with you on your back, so you’ll need to be smart about what you do and don’t bring. Water filter and purification tabs. On longer trips, there is a pretty good chance you will be away from clean water sources. And since carrying gallons and gallons of water with you is impractical, make sure you have some way to purify water on the trail. You can use iodine or bleach, or you can boil the water. Check out this wiki on water purification to learn more about the different ways of making water clean. Cooking stove. While you’ll want to keep the weight of your pack down, it might be a good idea to bring a portable cooking stove with you. 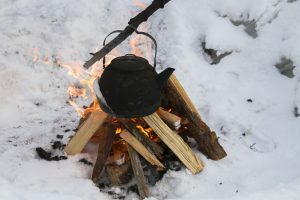 This will let you boil water (both to purify it and to cook) even in backcountry areas where fires may not be possible or permitted. Cell phone/radio. Hopefully you won’t need to call for help, but if you do, make sure you have a way to get in touch with people. Permits. Many parks or nature reserves require you get a permit to camp in the backcountry. This is usually to prevent it from becoming too crowded. Popular campsites will fill up during peak months, so call ahead or check online before making your trip. Portable stove. As we mentioned earlier, you may not be able to make a fire everywhere you go. When heading out for multiple days, cold oatmeal can get old fast. Bring a stove so you can boil water/cook without needing a fire. Maps/GPS. When you’re far from help, make sure you have a way to help you get back. Cold weather sleeping bag. When looking for a sleeping bag to take, make sure to look for it’s cold weather rating. In general, there are three types: Summer, which are rated for temperatures above 35-40°Fl; winter, which are usually suited for temperatures below 10°F; and 3-season, which cover everything in between. It’s usually better to get something rated for temperatures a bit lower than what you are expecting—better safe than sorry. For more info on how to pick the perfect sleeping bag, check out this sleeping bag buyers guide. Sleeping Pad. It is certainly important to have layers on top of you, but if you don’t put something underneath you, you’ll suffer just the same. When camping in cooler temperatures, make sure you have a pad to be able to put under your sleeping bag. This is not only way more comfortable than sleeping on the ground, it is a necessary step for protecting you against the cold. Warm clothes. One of the simplest things you can do to make sure you stay warm when camping in the cold is to layer up. Try to find gear that is made from moisture-wicking materials, such as wool. This will help to keep moisture off your body and will keep you warm. Don’t be afraid to sleep with socks and gloves on, as well. It might not be what you do at home, but if you let these extremities get cold, it’ll be hard to warm them back up. Tent. While they may look like not much more than a nylon sack, a tent is going to be a virtual lifesaver when you are out camping. When headed out into low temps, make sure you have a well-insulated tent that blocks wind and keeps moisture out. Things to look for with cold weather tents are separate entrances that allow you to enter and exit without exposing the inside of the tent to the elements. Ventilation systems that prevent condensation from forming on the inside are also key. Heaters. If you think you’ll need to spend some time outside in the cold, or if you will be able to camp in a cabin or an RV, then consider bringing a propane heater. These things can do wonders in small spaces. But do not bring this heater inside your tent, as it will be a tremendous fire hazard. There are special tent heaters you can buy, but if you take the steps outlined above, it won’t be necessary to take this risk. Ventilated tent. You’ll want to make sure you have a tent that keeps the air moving as much as possible. Heat pumping out of your body will warm the tent from the inside, and without a place for it to escape, it will quickly become unbearable. Also, make sure your tent has a rain fly to keep moisture out. When it gets hot and humid, thunderstorms can occur unexpectedly. There’s nothing worse than being both hot and wet. Mosquito nets/repellents. Mosquitoes thrive in warm climates, and they will feast on you in the night if you are not prepared. Most tents that open up for ventilation will have some sort of screen, but it may be wise to apply some mosquito repellent before heading to sleep. If you will be camping outside of a tent, think about getting a mosquito net that you can sleep under. Moisture wicking clothes. Sleep in lightweight clothes that draw moisture away from your body. Be careful with cotton, as it will get wet easily, which could either make you cold or uncomfortable while sleeping, or both. Hiking and camping with kids can be a great way to spend some time with the family. But going far from home and into the wilderness with children can make some people nervous. Extra games/toys. There’s a lot of downtime when you go camping, so to make sure your kids are entertained, bring stuff for them to do. You can make it educational by finding games that have kids identify plants or animals, or constellations. Try and avoid phones and other electronics. It’s camping, after all. Bikes. If you’re going to be near your car or R.V. camping, consider bringing bikes with you. This is a fun and easy way to take up an afternoon, and because you’ll be moving faster, you’ll be able to get from place to place more quickly, allowing you and your children to see more of the area in less time. Cooking ingredients. Going camping with your kids is a great way to get them involved in meal planning and prep. Ask them what they might like to eat on the trail, and also bring some stuff that is fun and easy to cook. S’mores are an obvious choice, but think about making campfire bread for breakfast or one-pot spaghetti for dinner. These are easy to do with you kids, and they can turn meal time into a fun family activity. Extra of everything (well, not quite). Let’s be clear, this is not a license to overpack. In fact, when travelling with kids it is important to pack light so as not to overburden anyone. But you should be extra prepared. If you’re going somewhere where it’s going to be cold, bring an extra sweatshirt or blanket. Or if you’re headed to a place with a hot sun, throw an extra bottle of sunscreen into your bag. The same for mosquito repellent. The last thing you want to have happen is for the trip to get ruined because someone is cold, sunburnt or covered in mosquito bites. An adult might be able to tough it out, but it can get downright miserable for a kid. That’s all there is to it. Camping is a fantastic way to get some exercise and to escape the hustle and bustle of our daily lives. To help make it an even more enjoyable experience, it is important you are prepared for everything that might come your way. And since each and every camping trip is different, each and every camping checklist you make will be different. The information provided here shows you the different things you may need for the different trips you might take so that you can make your own list and be prepared. But the best way to perfect your list is to head out there. Keep track of what you used, didn’t use and what you wish you had. With time you’ll be able to get a clearer idea as to what is necessary to have for the perfect camping trip.